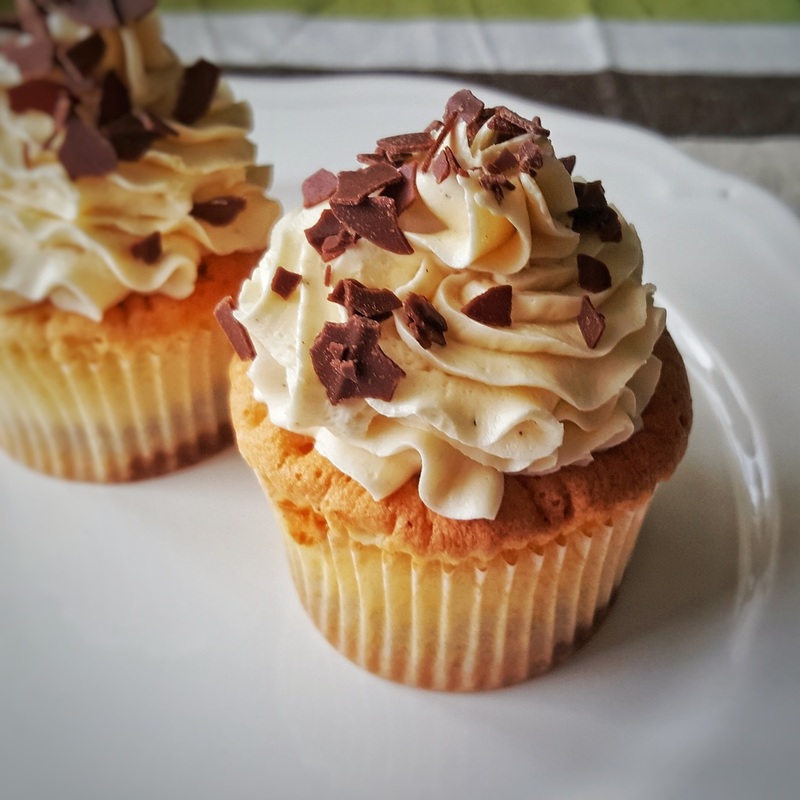 This recipe makes enough buttercream to ice 12 standard cupcakes, so nutritional information represent one of the 12 portions! You should also prepare your aroma upfront, I usually go for the standard vanilla buttercream, so I have 1 or 2 teaspoons of vanilla extract at hand. Make sure that you have the finest-ground icing sugar, otherwise your cream will have a gritty texture! Place all of the butter in the mixer and start beating it on low-speed, then slowly speed up to medium-high speed. After about 4-5 minutes, butter will be fluffy, creamy and pale. Lower the speed of the mixer to minimum, then add half of the icing sugar. Keep slow speed until sugar is more or less mixed in, then beat for a couple of minutes on high speed. Repeat this step as long as you have remaining sugar. Lower the speed to minimum, and pour in the cold cold milk, then mix it in on low speed, gradually speeding up to medium-high speed. Do the same with aroma of your choice, then mix another minute on high speed to keep everything mixed and beaten through. Cut off the tip of your piping bag at around half the length of your piping nozzle, then place it in the bag and lock into place. Turn top half of the bag inside-out, and fill the bag with as much buttercream as you can (you won't be able to refill the bag without making a mess). Shake the bag up and down few times to force the cream closed to the nozzle, and remove air bubbles. Twist the open end tightly, your piping bag is loaded and ready! The nutritional information on this site is not intended to be a substitute for professional medical advice. Always seek the advice of your physician or other qualified health provider with any questions you may have regarding proper nutrition.